Joy wears a T-shirt, a pair of pink jeans, a yellow hoodie and pink sports shoes. She has curly brown hair and brown eyes. Her 23cm tall body is made of high-quality brown vinyl, 13 movable joints and lifelike acrylic glass eyes. 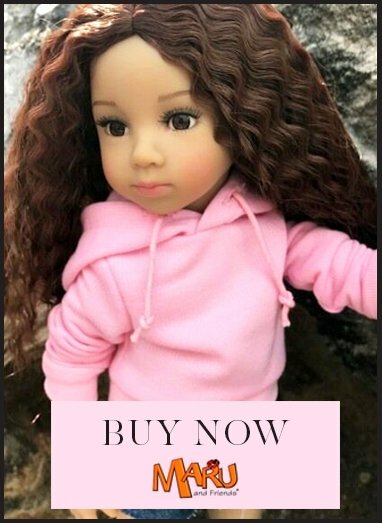 She comes with a little plastic brush to keep her hair smooth.